Last week we discussed the difficulty of properly burying the soldiers who had died in the Battle of Gettysburg. (You can find the blog post here.) Several Gettysburg residents proposed the idea of creating a large cemetery where the deceased Union soldiers could be laid to rest, and one young lawyer put the plan into action. Local Gettysburg attorney David Wills lived in a good-size brick home standing just off the Diamond in town. (The Diamond was basically the center of town; it is now called Lincoln Square, even though it’s really a circle…but I digress). 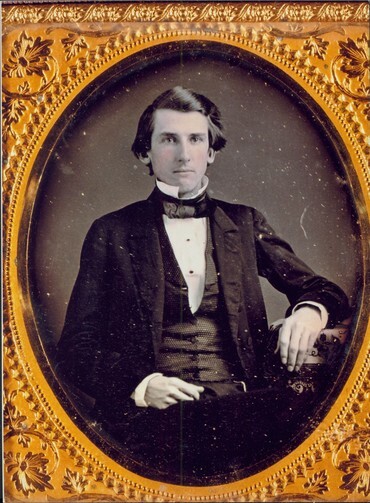 Born in 1831, David grew up on his family’s farm in Adams County, Pennsylvania. He graduated from Pennsylvania College in Gettysburg in 1851, spent a year teaching in Alabama, and then returned to Gettysburg where he studied law under Thaddeus Stevens. (If you’ve ever seen the movie “Lincoln”, you may remember Stevens and his role in supporting the 13th Amendment.) David became a practicing lawyer in 1854 and opened a law office in Gettysburg. Two years later (1856), David married Catherine Jane “Jennie” Smyers. They would eventually have seven children. During the battle days of 1863, they had three children and a fourth on the way. David Wills was a recognized member of the Gettysburg community, serving as a town leader, the first County Superintendent of School of Adams County, and elected director of the Bank of Gettysburg. The Wills family experienced the surprise and fear of the Confederate raid in June and the Gettysburg battle. Some of their neighbors took refuge in the family’s basement with them. About a week after the Battle of Gettysburg ended, Andrew Curtin – the governor of Pennsylvania – visited Gettysburg. The destruction and unburied soldiers was shocking. David Wills spoke with the governor and corresponded with him, suggesting that land could be purchased and set aside to be build a cemetery for the fallen soldiers. Governor Curtin approved the idea and asked David to help organize the endeavor. Their original plan was to have the cemetery built and maintained by the state. David Wills was not the only Gettysburg citizen to bring forward the idea of the cemetery. A rival attorney – David McConaughy – had already begun buying land, with the intention of building a national cemetery. McConaughy had purchased land on Cemetery Hill for the sum of $2,475.87. His quick action in purchasing the land, foiled Wills’s plan to have the project controlled by Pennsylvania (and himself). There was some tension, but eventually both lawyers realized they had the same objective: to solve Gettysburg’s problem and honor the fallen Union soldiers. With the land secured, the next step was to build the cemetery. Strict orders from the provost-marshal issued on August 10 forbade the opening of any graves; there was fear of an epidemic, in which the dead would kill the living through disease. But, later in the autumn, when the weather was cooler, the work began. Local citizens willing to work at reburying the dead told the organizers their price for the work. Eventually, Mr. Biesecker had the lowest price, and he and his crews went to their gruesome worker under the supervision of Samuel Weaver. The work began on October 27, 1863. Samuel Weaver boasted loudly that he would be certain not a single Confederate soldier was buried in the Union cemetery. Carefully, he inspected every body that was exhumed. If he decided there was reason to suspect the soldier was Southern, he was re-buried. The Union soldiers’ remains were placed in wooden caskets and hauled to the cemetery location. 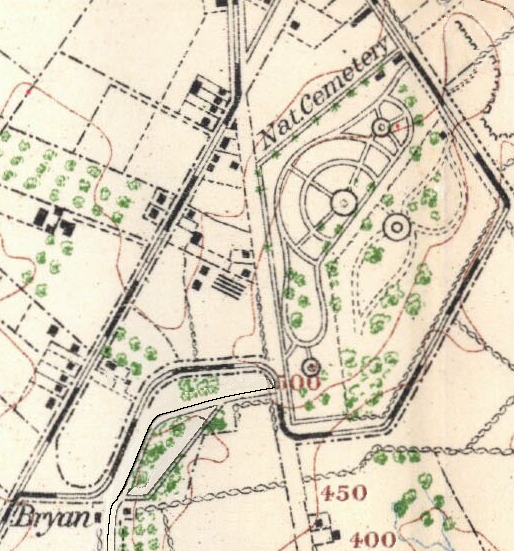 The cemetery lay-out was designed by William Saunders – an architect. He placed the graves in a semi-circle; each Union state represented at Gettysburg had a section and its soldiers were buried together. If the soldier had been identified, his grave was marked with his name and regiments; 979 of the Gettysburg fallen were never identified and were buried in graves simply marked with numbers. The work of properly burying the Union dead would not be completed until Spring 1864, but David Wills wanted to have the cemetery dedication early in the proceedings. He originally planned to have the ceremony on October 23, 1863, but the invited “keynote speaker” – Mr. Edward Everett – needed more time to work on his speech. The date was moved to November 19, 1863. While Governor Curtin and David McConaughy were instrumental in launching the plan for the Gettysburg National Cemetery, David Wills became a driving force behind the solemn project. He is also remembered as the man who invited Lincoln to Gettysburg and set the stage for one of the most speeches in American history. David Wills successfully sought, planned, and organized a way to honor the fallen soldiers of Gettysburg. P.S. Have you visited Gettysburg National Cemetery?